Unplugging your Wii U during the firmware update could possibly brick the machine, rendering it totally useless. So please, don’t do it. The Wii U did not come packaged with many of its selling points like the Miiverse, eShop, internet browser, and backwards compatible capabilities, and the day-one firmware is what is needed to install all these services. The huge update takes anywhere from 1 -4 hours to download and install, and without a cancel button, gamers who don’t have the time to install the patch have taken to unplugging the machine from the wall. Reports across the Internet have ranged from connections being timed out or Nintendo even recommending the unplug to frozen downloads, and all situations are leading to a useless machine. 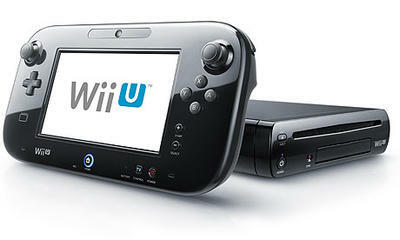 LA Times Video Game journalist Ben Fritz was the first to report his Wii U busted. Nintendo of America has put out a warning via Twitter. Wii U owners, please do not power down or unplug your system while downloading updates. Doing so may cause damage to your Wii U.
I believed it was common knowledge that interrupting a firmware update could lead to some serious problems, but then I remembered that many of the Wii U’s targeted audience might not be a tech savvy as the next guy. Please be careful when turning on your Wii U for the first time everyone. If you wind up with a bricked machine, call Nintendo: 1-800-255-3700.